Nestled on the 5th and 6th floor of The Landmark in the heart of Central, Zuma is an award-winning restaurant and bar concept from London that offers a twist on traditional Japanese cuisine. 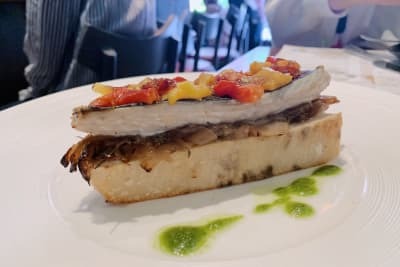 Since its international success and inception in Hong Kong in 2007, Zuma has found itself many loyal diners who return time and time again for the consistent and sophisticated high quality food. 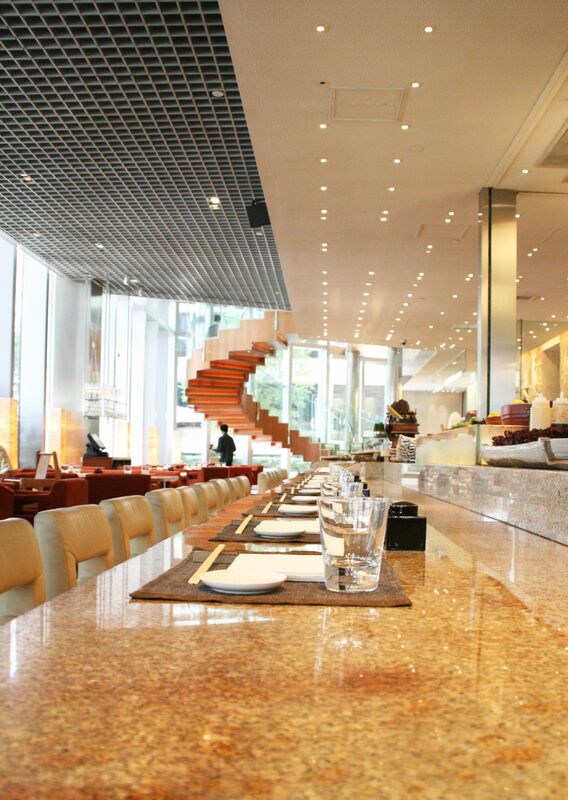 The restaurant takes up the 5th floor while the lounge and bar occupies the 6th. The two levels are seamlessly connected by an elegant spiral staircase. With well-spaced tables, high ceilings and a fresh, modern interior, Zuma exudes a contemporary state-of-the-art vibe for a relaxing afternoon in. 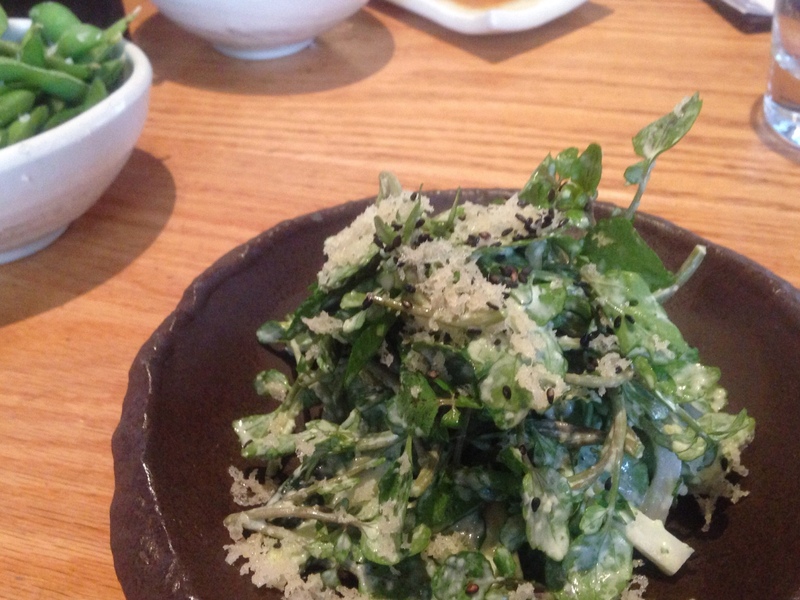 We started off with the watercress salad with wasabi and cucumber, which was crisp, refreshing and freshly tossed. We were very appreciative of the creative spin on watercress, one of the best superfoods out there, and the wasabi gave the dish a subtle tang that set this salad apart from others that we’ve had. 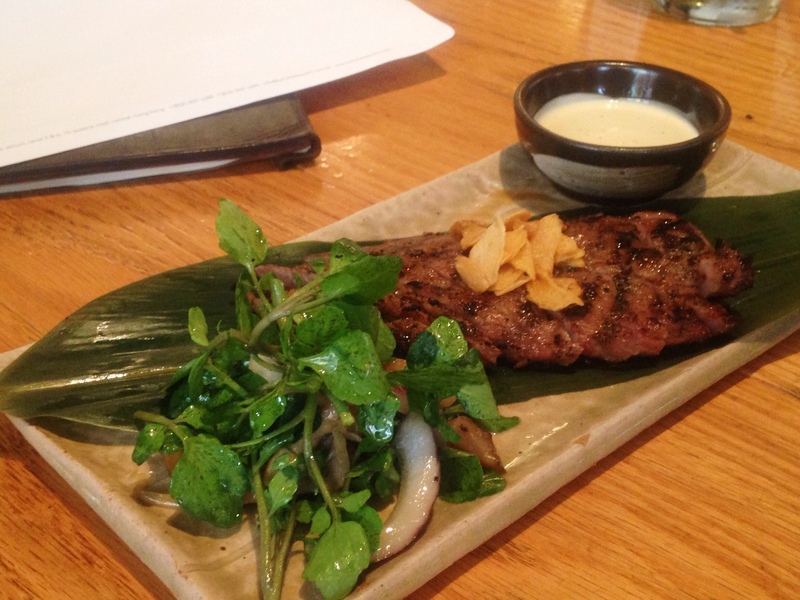 The Iberico with yuzu koshu and black pepper was the definite standout of the meal. The yuzu koshu, a Japanese paste made with chilli peppers and yuzu, went wonderfully with the tender Iberico and brought out the fragrance and flavours of the meat. The taste of the Iberico lingered well into its aftertaste, a testament to the high-quality of this well-aged pork. 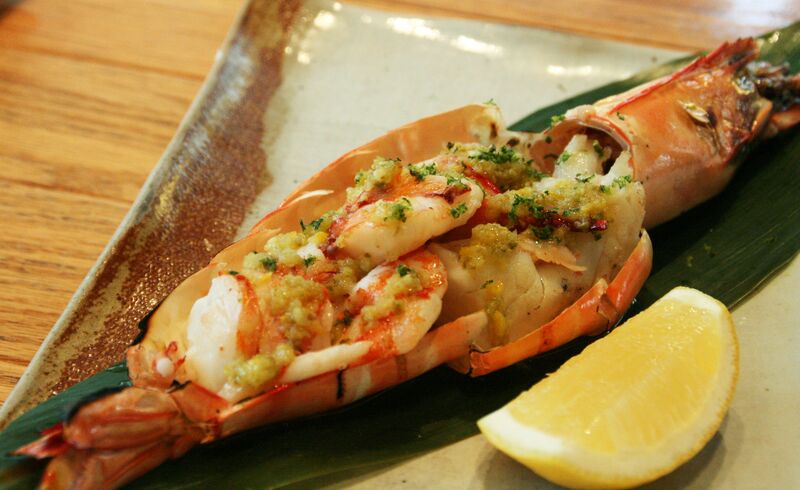 Seafood lovers would adore the jumbo tiger prawn with yuzu pepper. 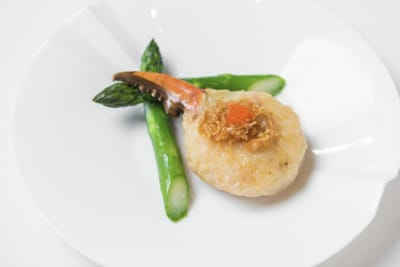 Seasoned with herbs and served with a slice of lemon on the side, the tiger prawn was succulent and cooked just right without being overdone. The Hokkaido sea urchin with wasabi and nori was brimming with fresh flavours of the sea. 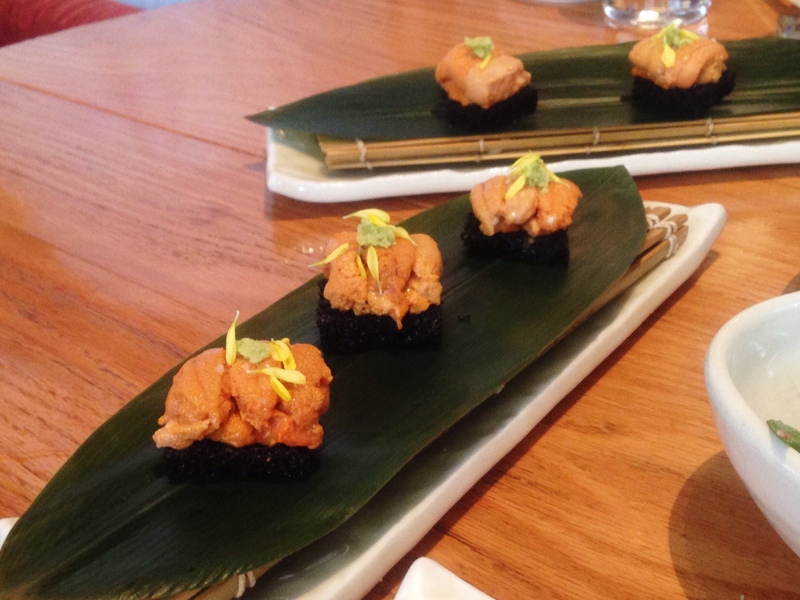 The nori was loose and crunchy, contrasting well with the smooth and creamy texture of the sea urchin. 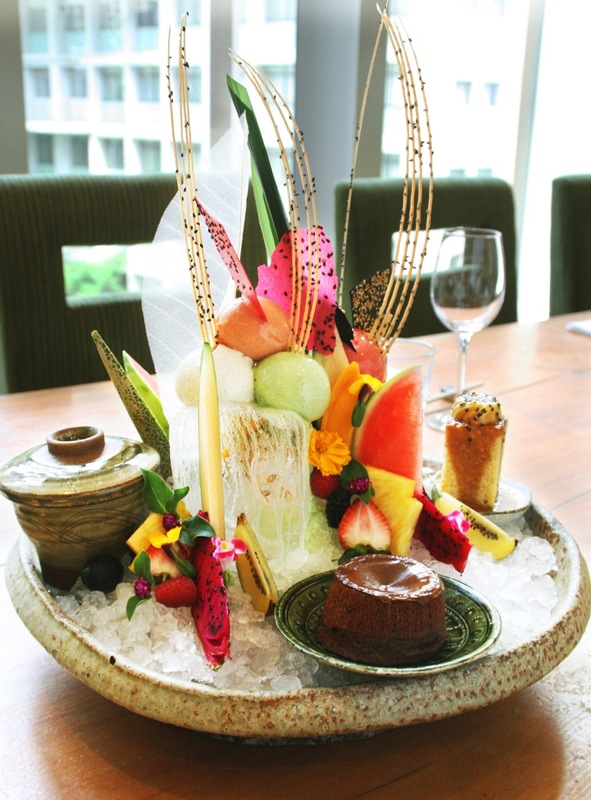 The deluxe dessert platter took its sweet time to arrive, but drew oohs and aahs around the table when it did. A masterpiece in every right, pieces of fresh fruit, crackers, ice cream scoops and cakes in little dishes were artfully arranged on a solid bed of ice. The chocolate fondant cake, solid on the outside but oozy and warm on the inside, was loved by all. All the fruits – mangosteens, kiwis, grapes, watermelon and dragonfruit – were wonderfully juicy and the finest of the crop. Every slight turn of the platter brought a new surprise, making the dessert not just delicious but an experience to remember. The higher prices at zuma make it a restaurant you wouldn't visit very often, but rather a place to get a table at for a special occasion or when friends are in town. You get what you pay for though – the ingredients are truly top notch and you would be hard-pressed to find a restaurant with quality Japanese food to match.